A kind reader pointed out to me that there is a slight mistake this Blueberry Apple Crumb Bar recipe in The Vanilla Bean Baking Book, so I’m putting the recipe here (with corrections). 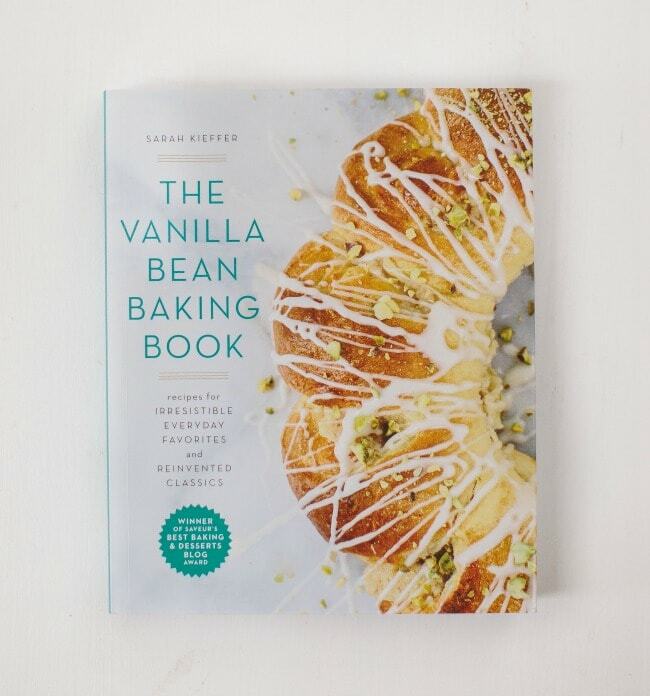 The ingredient list is correct in the book, but the directions mention ‘baking soda’ instead of ‘baking powder’, and list cinnamon in the filling when there is none. Sorry about that! If any of you happen to live in Winona, Minnesota, or are visiting there this weekend, I’ll be doing a book signing at The Blue Heron Coffeehouse from 2-4 this Saturday, January 14th. 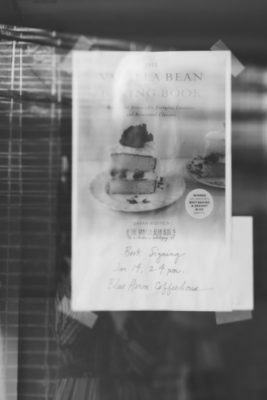 The Blue Heron is the coffeehouse I talk about throughout my book, and where I learned to bake, and it’s wonderful to be going back for this event. I am also teaching a class in St. Paul at Cooks of Crocus Hill Sunday, February 5th, from 1-2:30. I’ll be doing some demonstrations, sharing treats, and signing books. You can register here if interested! 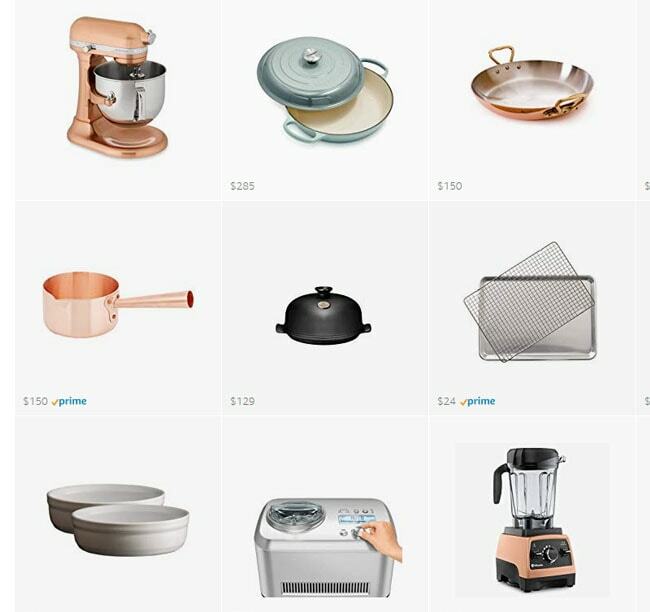 You can find a few of my recipes from the book around the web. So many beautiful posts, I’m totally overwhelmed! Julie from Always with Butter made my chocolate chip cookies. Molly from My Name is Yeh made my yellow cake with chocolate frosting. Michelle from Hummingbird High made my cheesecake, and Cynthia from Two Red Bowls made my cheesecake with a hazelnut twist. Alex and Sonja from A Couple Cooks made my shortbread with chocolate. Food 52 made my oatmeal white chocolate cookies. Sara from Sprouted Kitchen made my whole wheat banana chocolate muffins. Cindy from Hungry Girl Por Vida made my honey cake and added grapefruit. Elizabeth from Brooklyn Supper made my orange cranberry bundt cake. Alana from Fix Feast Flair made my brown butter buttercream. Alanna from Bojon Gourmet made my peanut butter granola. There are a few more that I will post later! Thank you again for all your support. It’s been so fun to see what everyone is making from the book on Instagram, and I appreciate all your kind words and reviews. 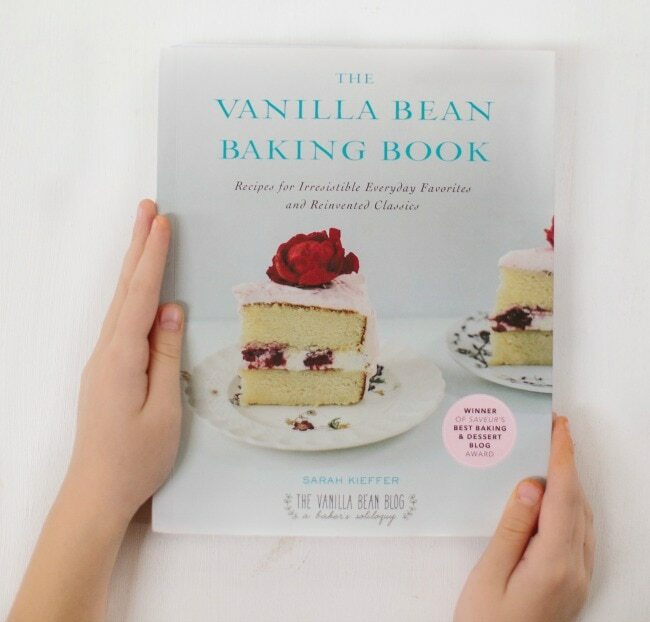 If you make something from the book, please tag it #vanillabeanbakingbook so I can find it! Adjust an oven rack to the middle position. Preheat the oven to 350F. Grease a 9 x 13-inch baking pan and line it with parchment sling. In the bowl of a stand mixer fitted with a paddle, mix the flour, oats, sugar, baking powder, salt, and cinnamon on low to combine. Add the butter and mix on medium until the mixture resembles coarse sand. Press half the flour-oat mixture into the bottom of the prepared pan. Bake 10 minutes. Prepare the berry filling while the crust is baking (see below). Remove the pan from the oven, spread the berry mixture over the crust, and sprinkle the remaining crumble mixture evenly over the top. Bake 20 to 25 minutes, until the crumbly top is light golden brown. Transfer to a wire rack and let cool. Place the pan in the fridge and let chill 4 to 6 hours. Slice bars and serve. 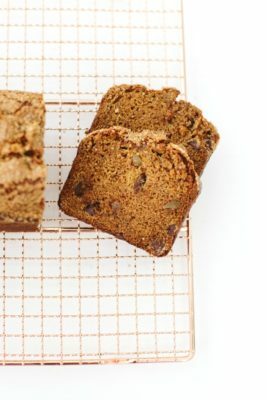 The bars can be served cold or at room temperature, but keep best in the fridge. In a large bowl, mix the blueberries, apple, and lemon juice. In a small bowl, combine the sugar, cornstarch, and salt. pour the sugar mixture over the berries and stir gently with a spatula to evenly combine. Yum! I love a good crumble topping! I recently made the easy Danish dough and the Apricot Danish from the #vanilla bean baking book. Both recipes and directions were accurate and easy to follow, my family loved the pastries. The spirals wanted to uncurl during the bake time, how do I prevent that from happening? These bars look absolutely irresistible!!!! I could eat a whole plate! 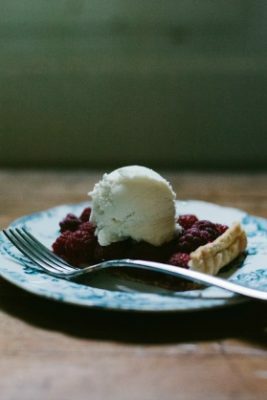 Are frozen berries OK to use? Thank you! Yes- is frozen ok? I have a big Costco sized bag of blueberries on hand as well as the apples. Hi Sarah! I just received your cookbook from my cousin, Kelly Vlach. Your book is beautiful and inspiring! I’m very much looking forward to making these recipes. 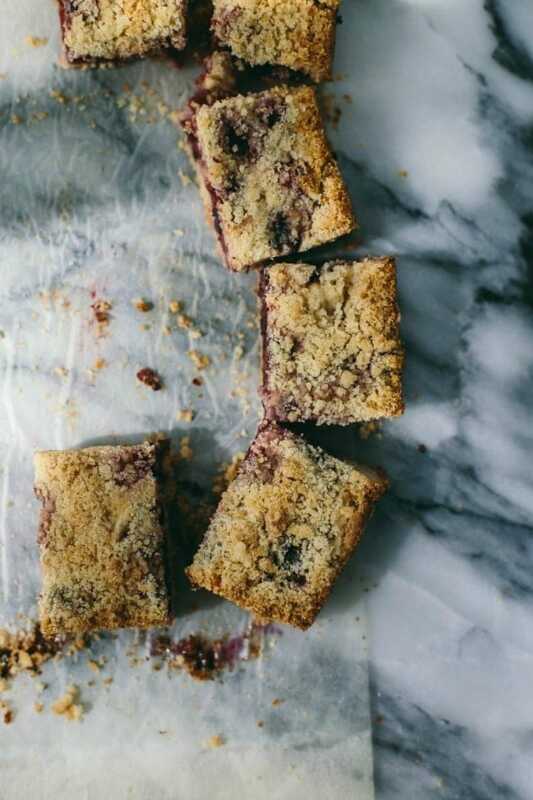 love the idea of the the crumble crust for these, but especially the blueberry apply combo, thank you for this recipe! These do look delicious. I wish I had these bars in front of me right now! Hi Sarah! 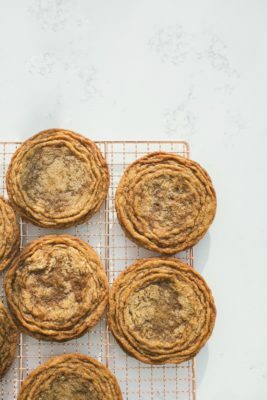 I’ve been pouring over your book for the last few weeks – I tend to read cookbooks like novels — and just this week I made those chocolate chip cookies. I’ll be featuring them tomorrow on my blog and wanted to thank you for sharing your technique — which is very cool and works like a charm. Also, in a strange twist, when I read this post the Winona, Minnesota and Cooks of Crocus Hill jumped out at me. My husband is originally from St. Paul, born in Winona. I’ve transplanted him to the more tropical climes of South Florida, but I think he misses “home” sometimes. When we were dating, he’d take me to the Cooks of Crocus Hill and Penzeys — not to mention the fabulous farmer’s markets in the summers. Those mentions sparked a lot of memories for me. Thanks for this recipe – I can’t wait to make it! Oh my, those look DELICIOUS! Thank you for sharing this easy recipe. It is so delicious. I love apple recipe. This will definitely be on my to-try list in the near future. Thanks for sharing it with us ? Looks like a great recipe, can’t wait to try it, thanks! 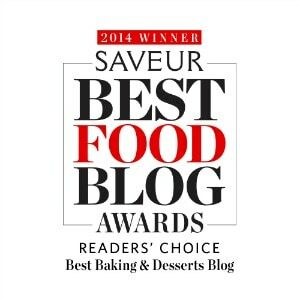 I purchased your book last week and the first recipe I tried was on page 253 – Shortbread with Chocolate. They were delicious however I only got 13 cookies using a 2″ cookie cutter, not the 30-35 cookies noted. I had to roll the dough less than the recommended 1/2″ thickness in order to get 13. I’m wondering if I did something wrong or if the 30-35 cookie quantity is perhaps a misprint. Excited to have found your blog and book! My kids are going to love these but to be honest I’m really the one who will probably eat the most. They look delicious. Such great flavors. Thanks for sharing the recipe here. Hi! I googled recipe correction for this recipe bc I also noticed the cinnamon in the berry filling but the other tho g I was curious about was the sugar in the crust. The directions say combine “sugars” plural, but ingredients list only lists one sugar. Is there supposed to be brown sugar also? My crumble was really…crumbly. Didn’t come out like bars bc the crumble was too dry. I measured by weight so I didn’t think it was too much flour but not sure what else I could have done! Any suggestions?? Very excited to try this today.. Thanks for sharing it!